Moving Beyond Traditional Classrooms and "Tougher Standards"
In this “lively, provocative and well-researched book” (Theodore Sizer), AlTe Kohn builds a powerful argument against the “back to basics” philosophy of teaching and simplistic demands to “raise the bar.” Drawing on stories from real classrooms and extensive research, Kohn shows parents, educators, and others interested in the debate how schools can help students explore ideas rather than filling them with forgettable facts and preparing them for standardized tests. 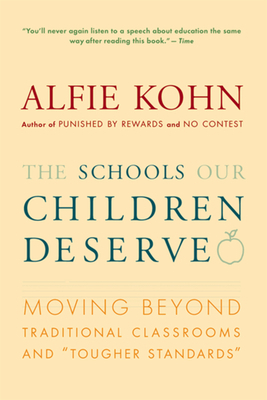 ALFIE KOHN's published works include Punished by Rewards, No Contest: The Case Against Competition, Beyond Discipline, and What to Look for in a Classroom. Described by Time as "perhaps the country's most outspoken critic of educational fixation on grades and test scores," he has traveled across the country delivering lectures to teachers, parents, and researchers.